Without having a sprinter here and seeing our GC possibilities cut back yesterday, it was important to keep Nico in the mix, but other than that, it was nice to feel a little less pressure to always stay at the front and on high alert. 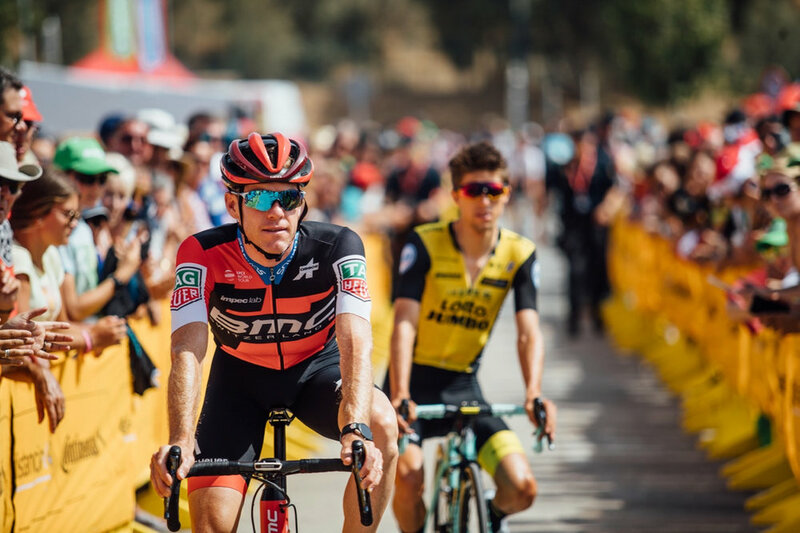 Overall, we tried to use today at the Vuelta as a day to refocus and not spend too much energy. That doesn’t mean it was by any means an easy one, and it is clear that despite only being Day 3, the heat makes everyone a little more edgy and irritable. Stage 3 was another case of “first week” racing with time gaps still tight and tomorrow’s stage featuring the first of many summit finishes. It saw us do our first big 20-kilometer climb, and then a bunch more up and down. My Garmin read 3000 meters of climbing by the finish. Yet the blistering heat wasn’t enough to deter a big group sprint. The final 30 km were very technical and fast. We rode those roads in training a few days before the race, so it was a rare opportunity to know what was coming. I did my best to stay up front, mostly for self-preservation and to keep out of the scrum as much as possible. Now that most of us are in “energy save” mode, things get a bit tricky knowing who would be pushing to the line and who might be sitting up a little early. Today it was Joey and I hitting the line first, but hopefully, we can take turns throughout the days to come because every little helps. We want to be ready any time an opportunity presents itself.